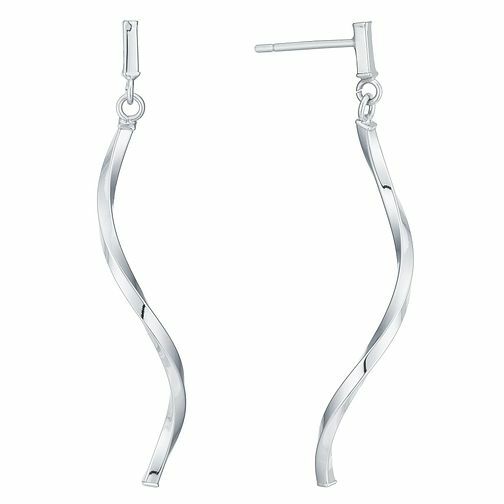 An elegant pair of 9ct white gold earrings, crafted into a simply stylish long twist design. The perfect pair to take you from day to night. 9ct White Gold Loose Swirl Earrings is rated 5.0 out of 5 by 1. Rated 5 out of 5 by Anonymous from Good quality simple uncluttered design Bought for my wife as a Christmas gift. She likes white gold and uncluttered design - these are a perfect choice.